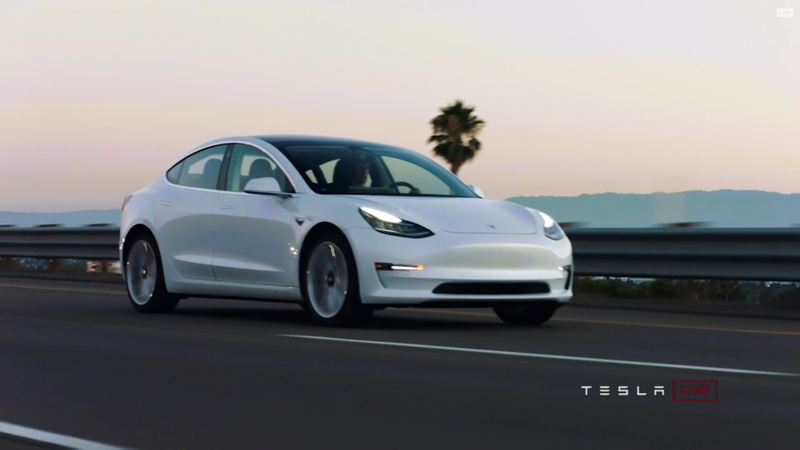 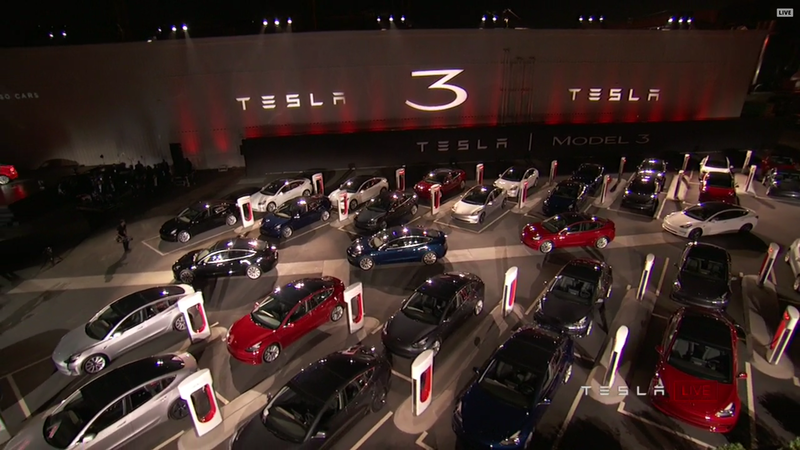 It has begun: the first Tesla Model 3 have been delivered and triggered the downfall of the traditional car industry. 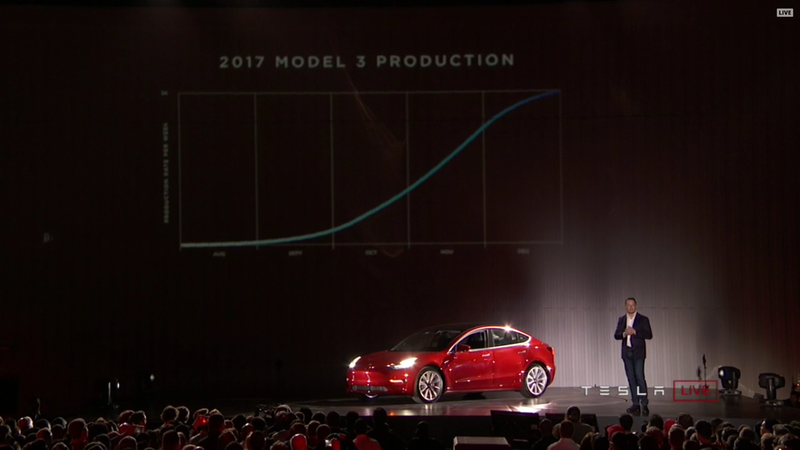 Latter ones’ decline was not caused by Tesla, but by their own fault, including Diesel emission scandal and collusion. 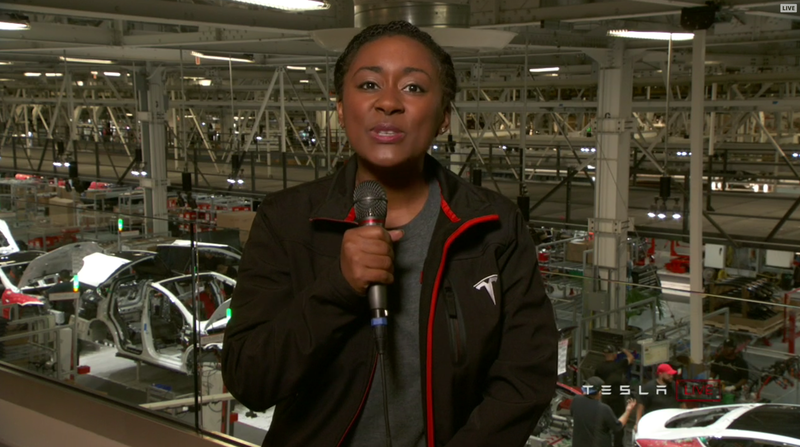 Those scandals just play into Tesla’s hands. 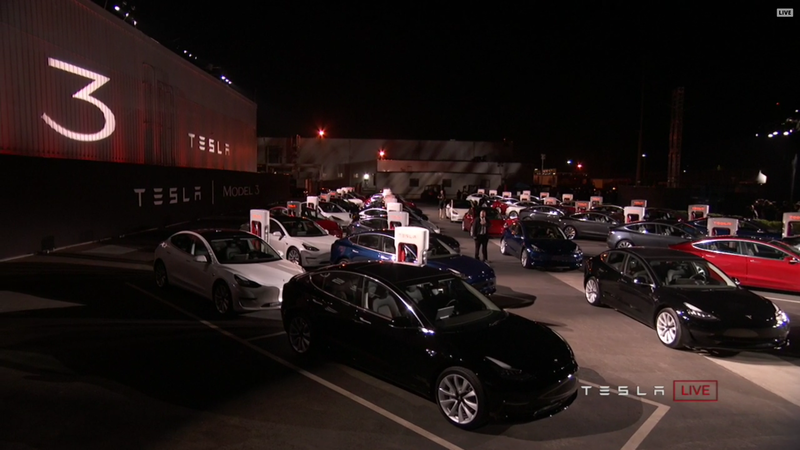 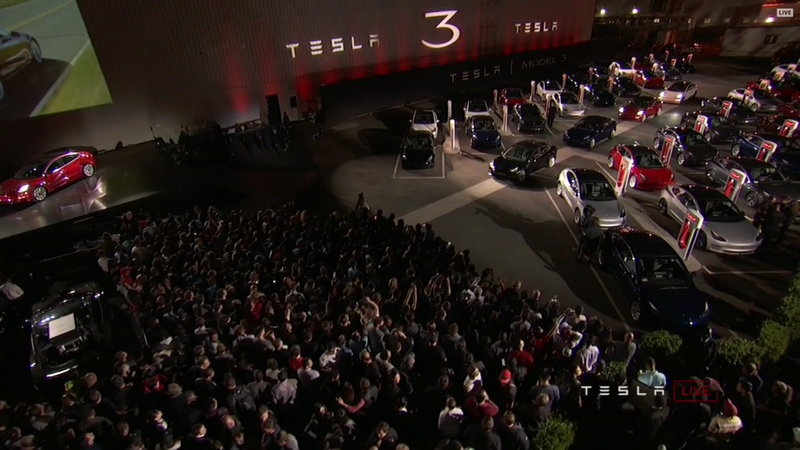 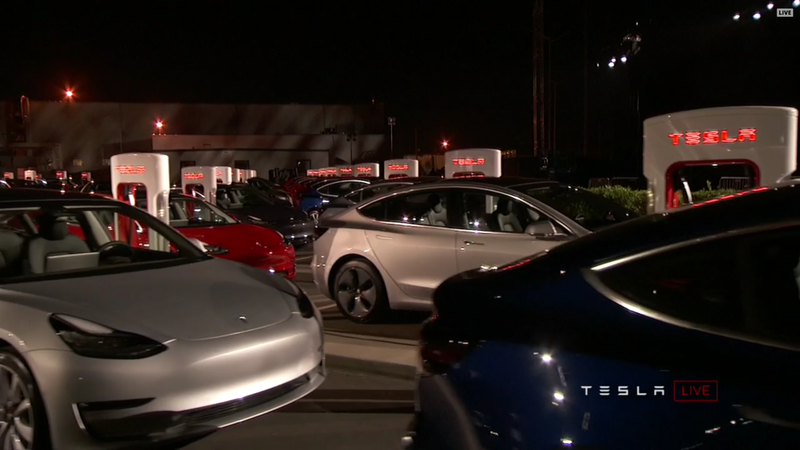 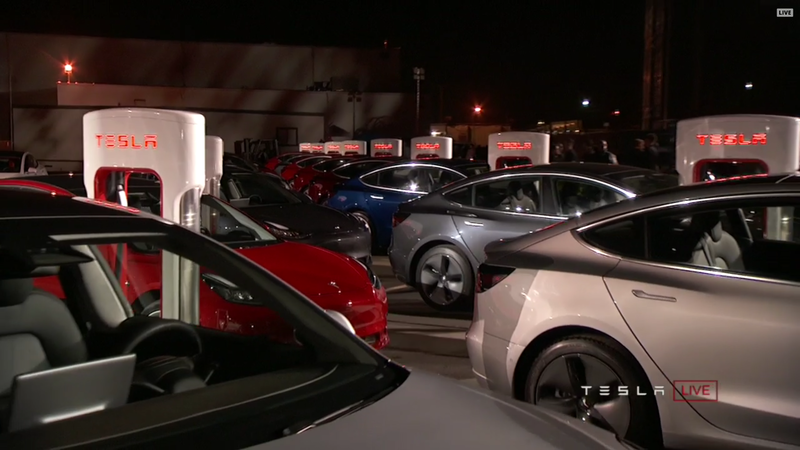 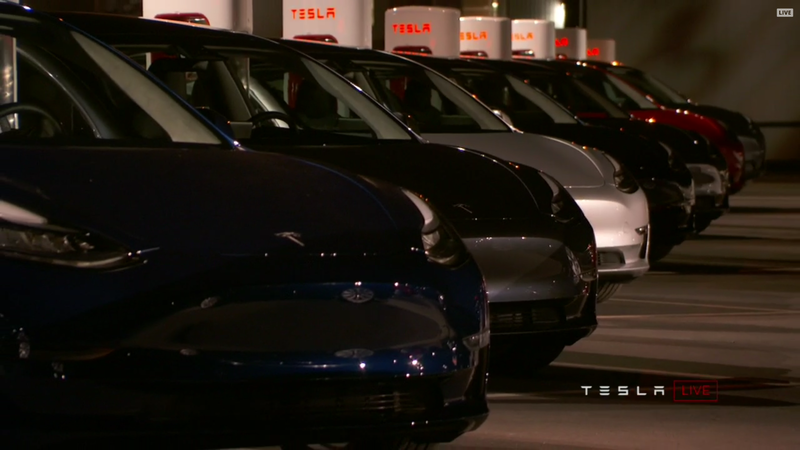 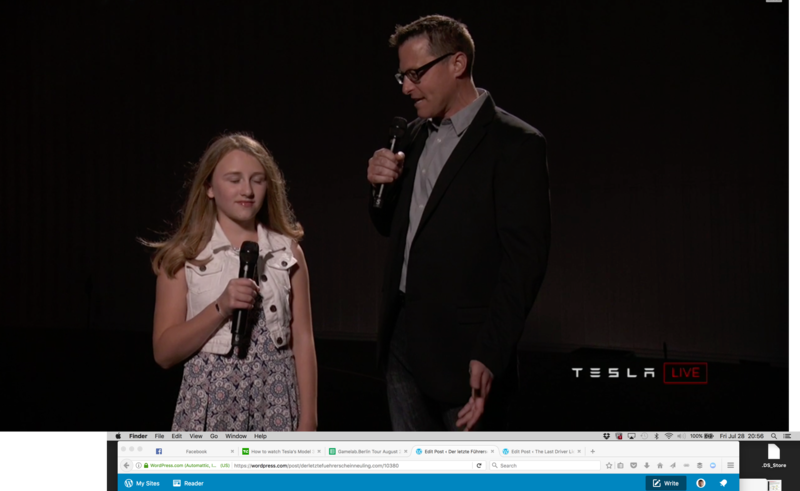 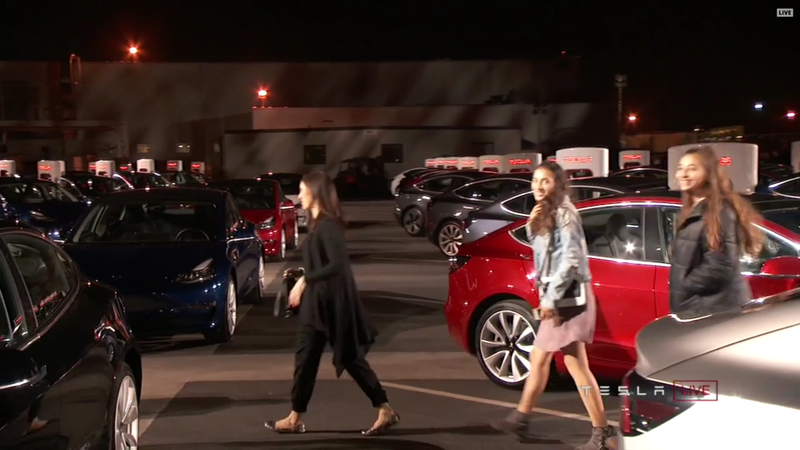 And so on July 28th, 2017 at 9pm PDT the first 30 Model 3 were handed over at Tesla’s Fremont factory in California. 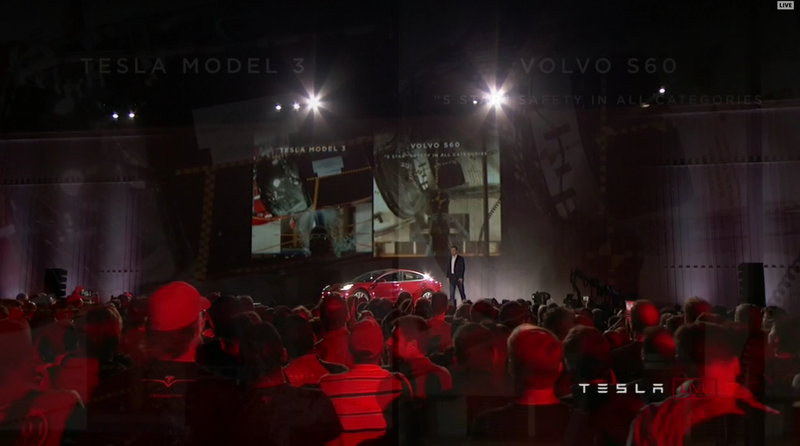 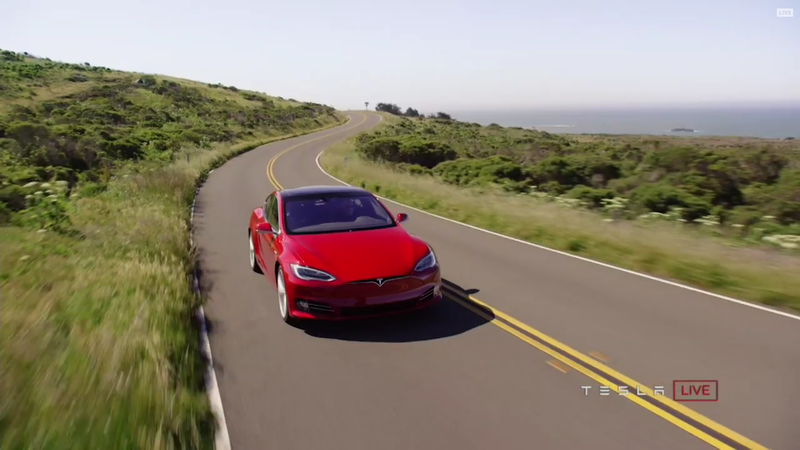 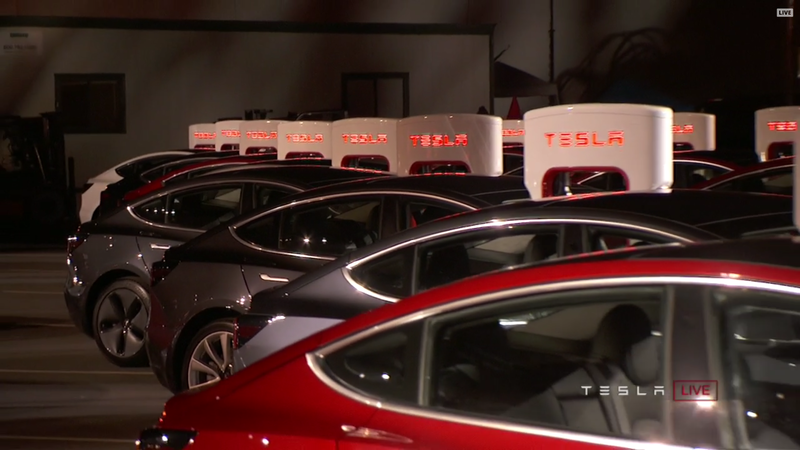 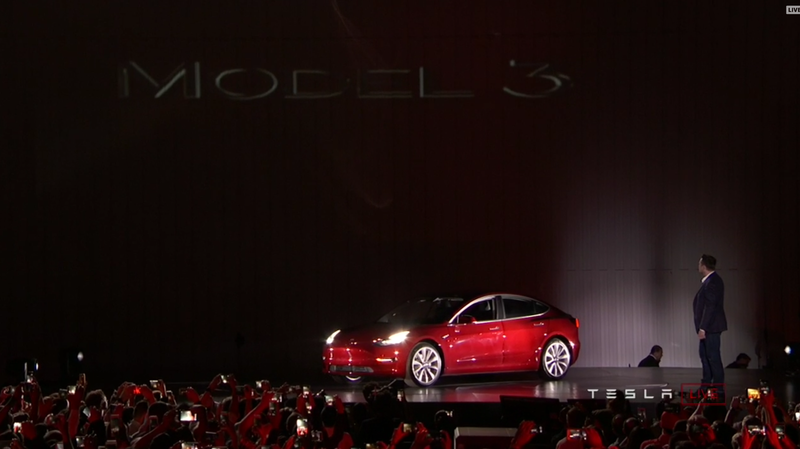 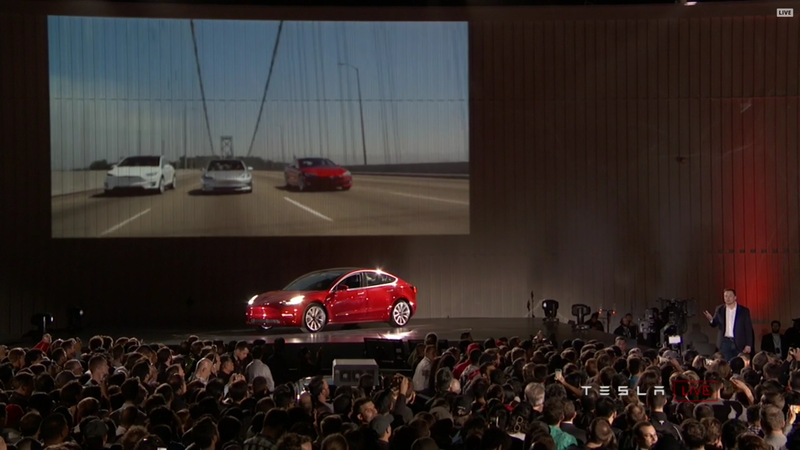 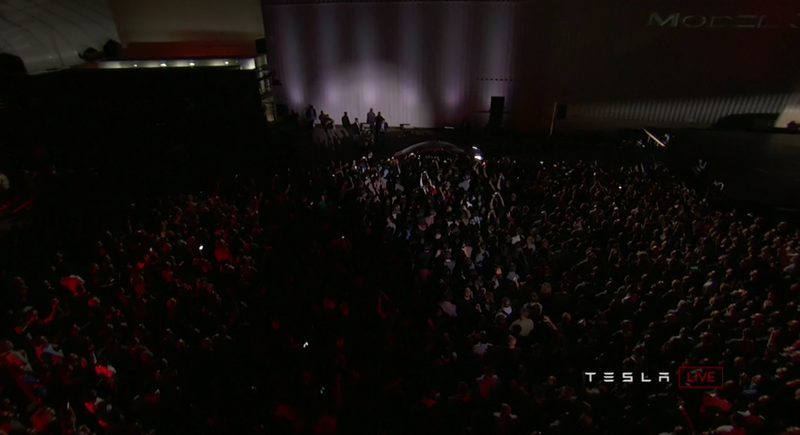 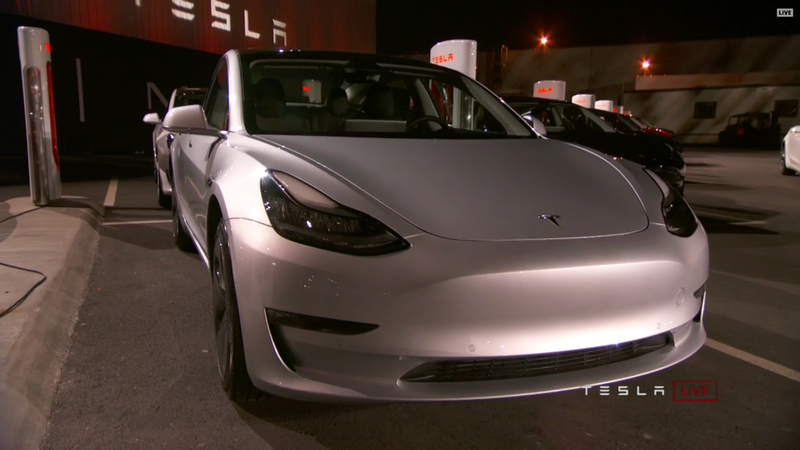 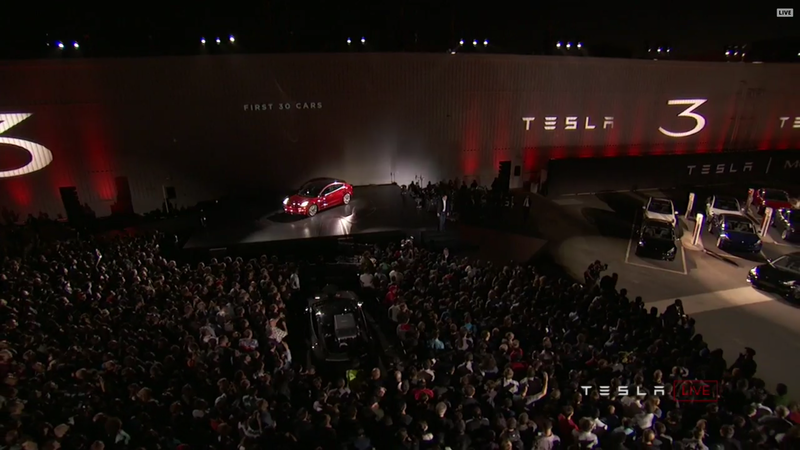 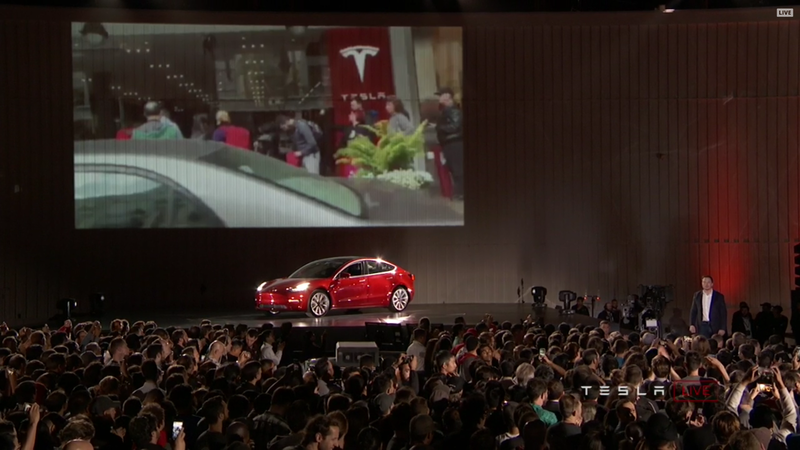 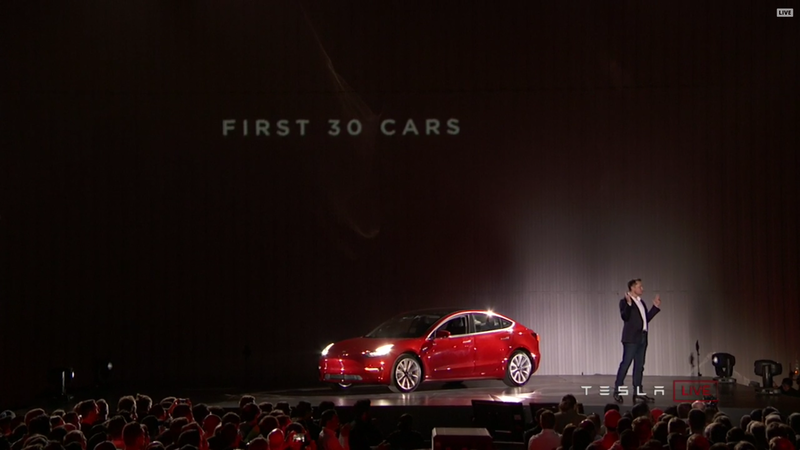 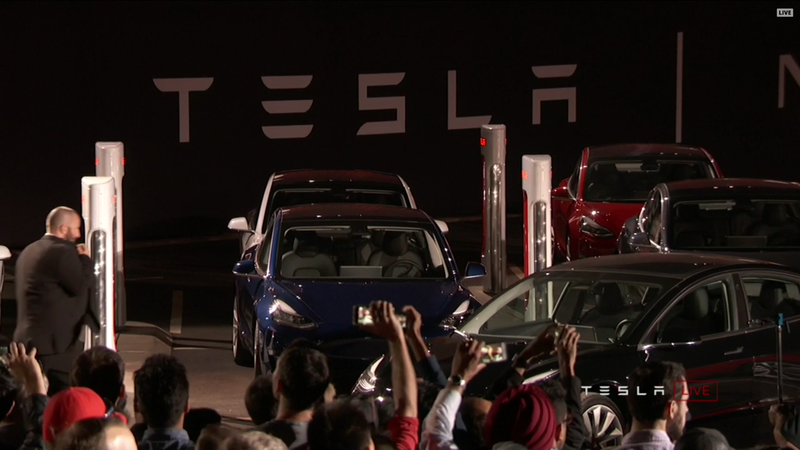 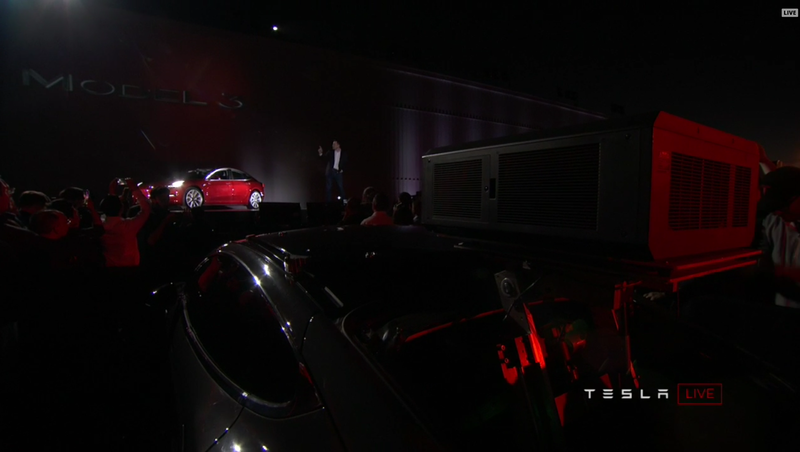 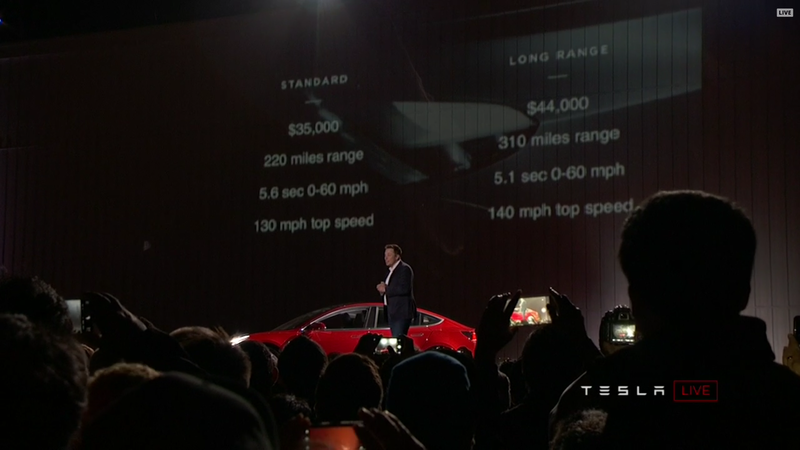 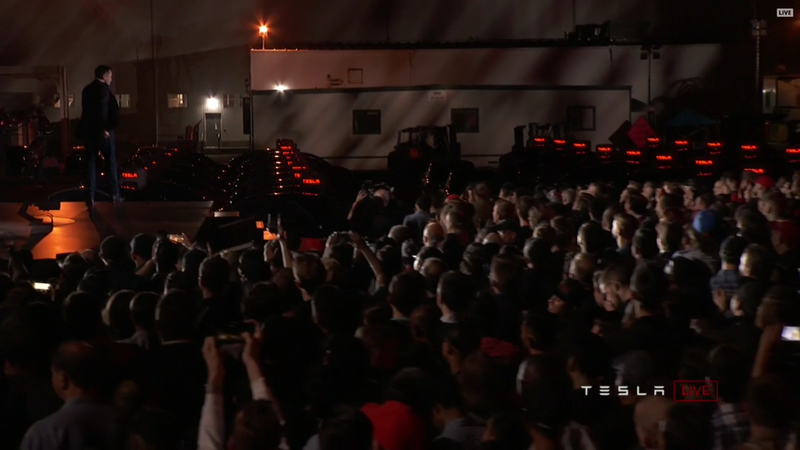 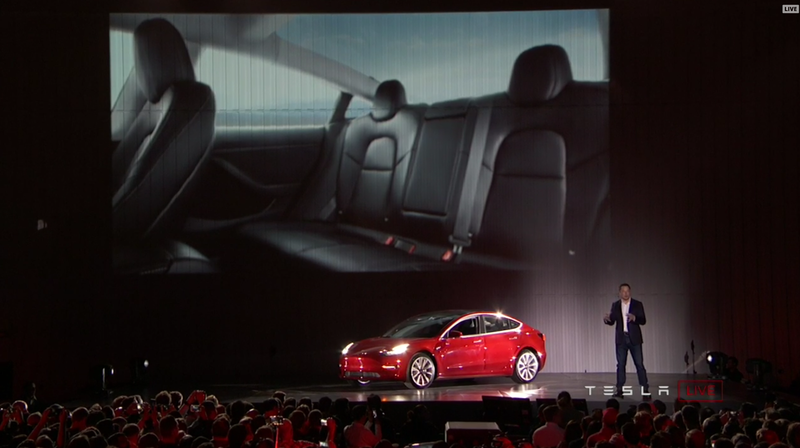 Tesla-CEO Elon Musk drove onto the stage in a red Model 3 and presented the specs of the car. 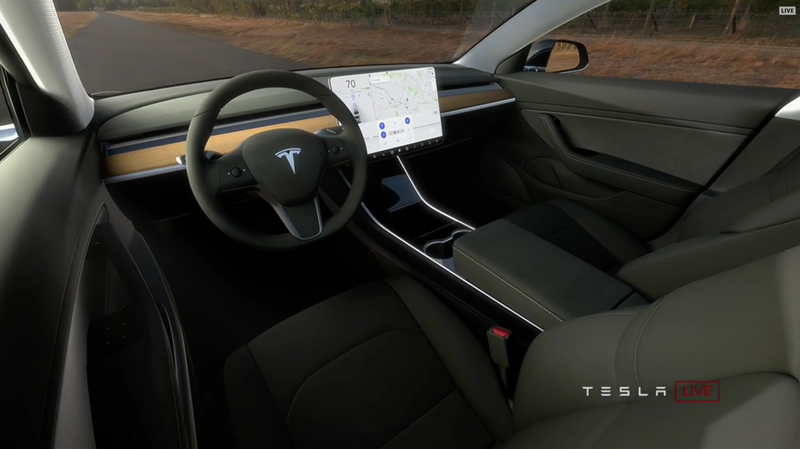 Each car built in Fremont is now equipped for fully autonomous driving with 8 cameras, 12 ultrasound sensors, 4 radars, and a 10 terraflop Nvidia processor. 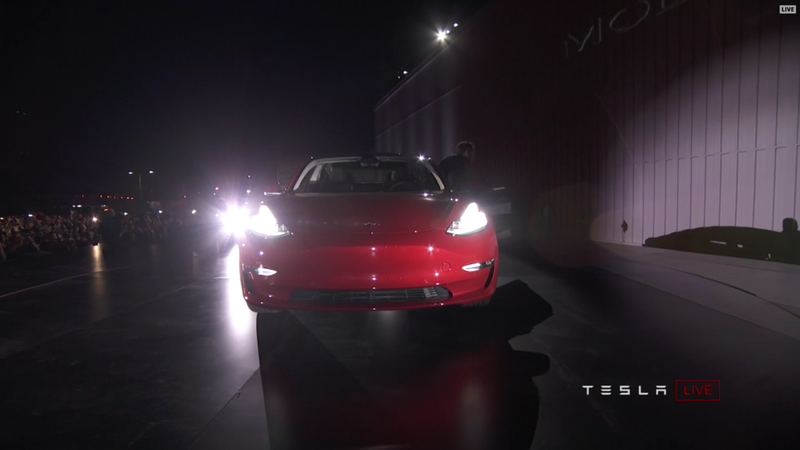 The rear and roof window of the Model 3 feels like sitting in a helicopter. 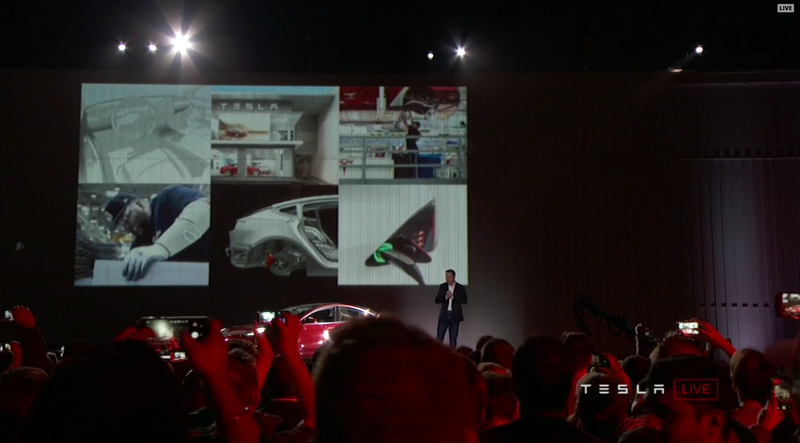 Tesla basically pulled the front window all the way to the back. 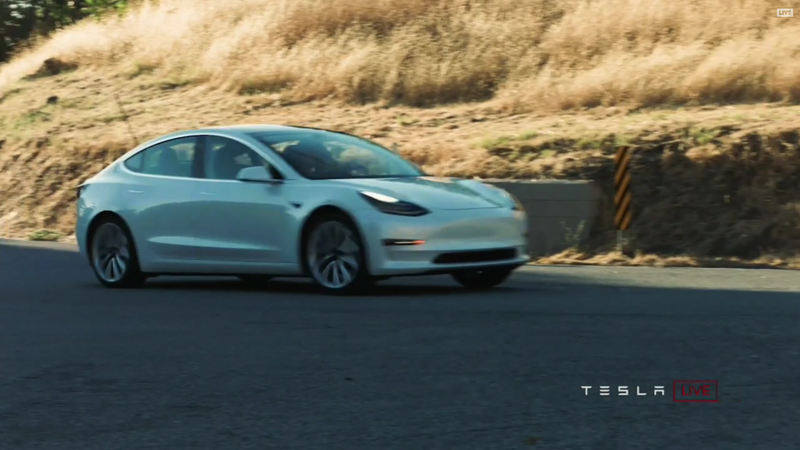 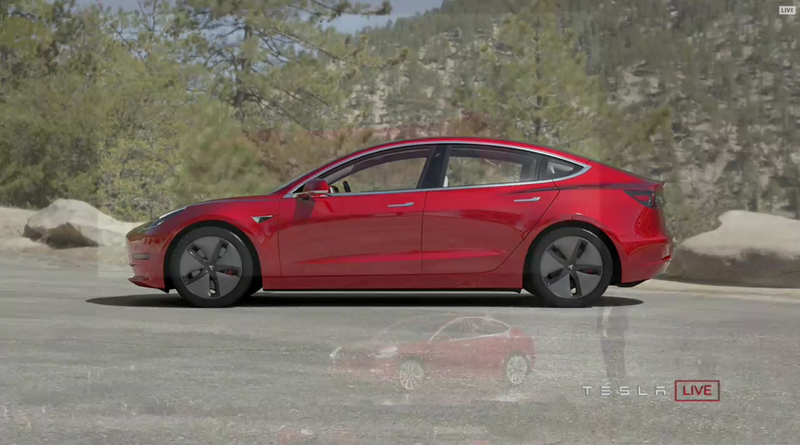 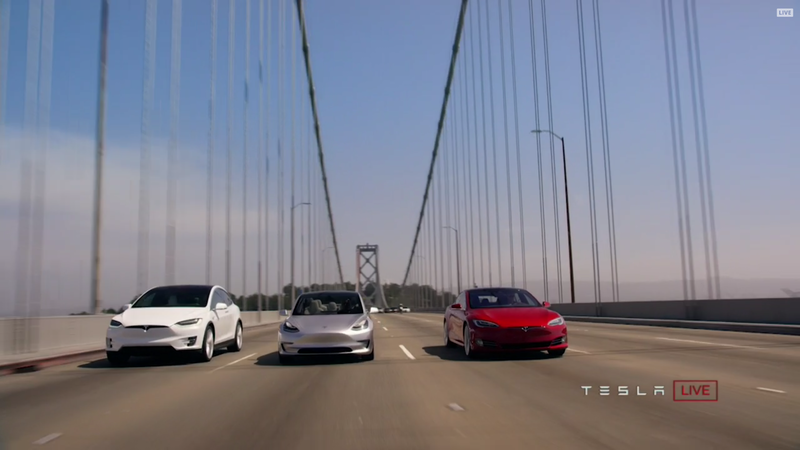 The safety standard of the Model 3 surpasses the until now safest car, which was a Volvo S60. 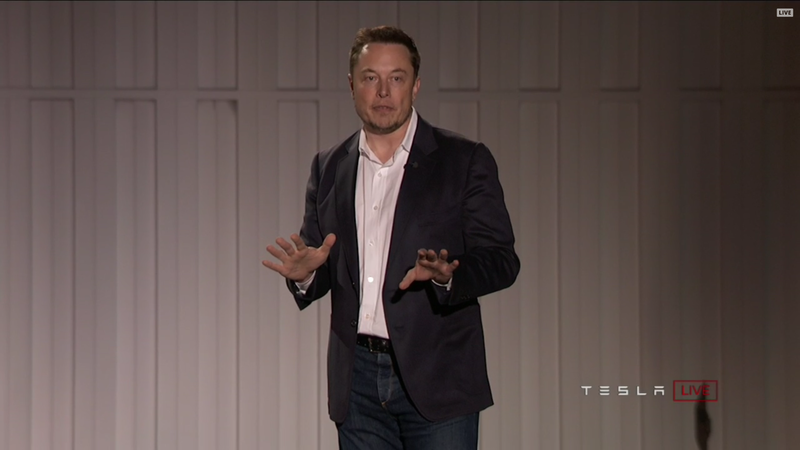 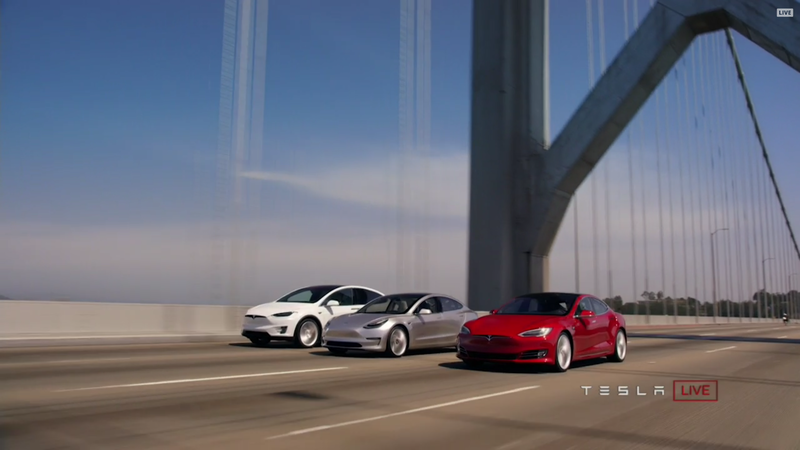 Musk demonstrated that with showing comparison videos from crash tests. 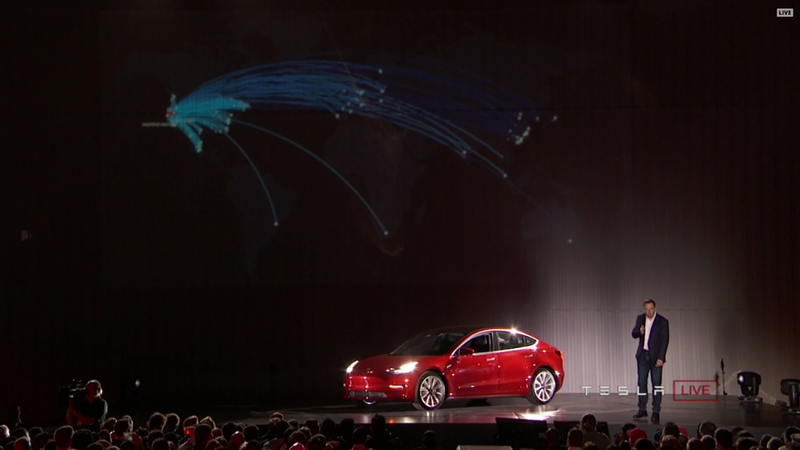 The Model 3 is low weight, has fewer parts than the Model S and X, but still has 10,000 parts which are delivered from all over the world. 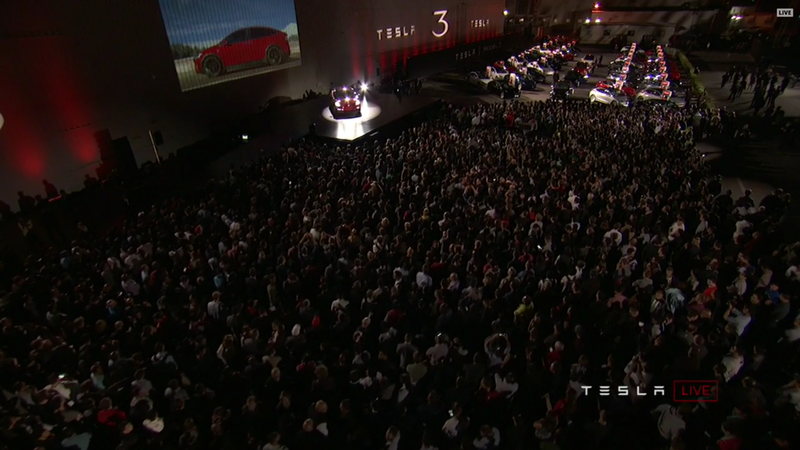 Tesla is working on ramping up production numbers as fast as possible. 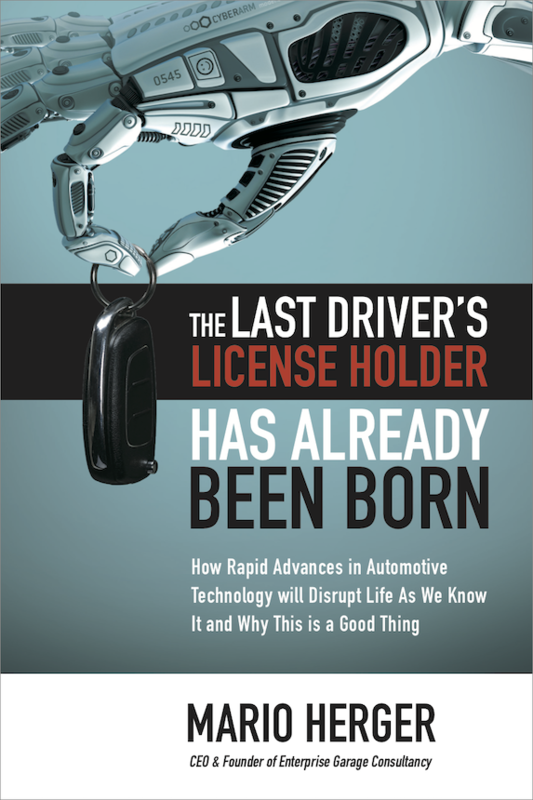 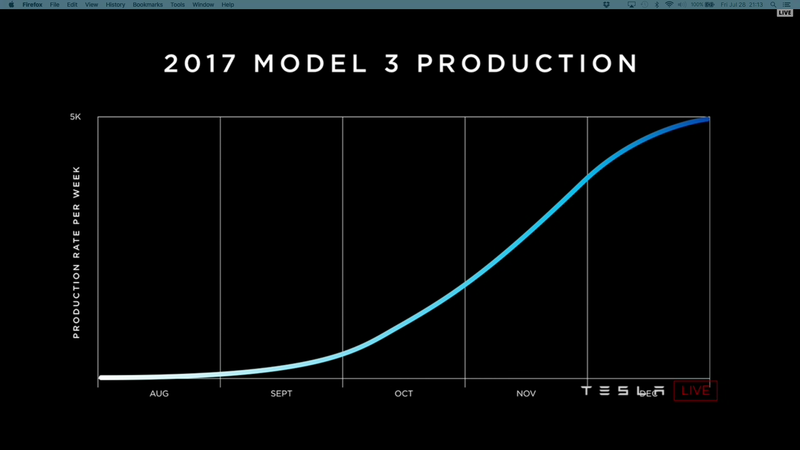 In July 50 vehicles were produced, and Elon Musk announced the ‘production hell.’ Next year production shall reach 10,000 vehicles per week. 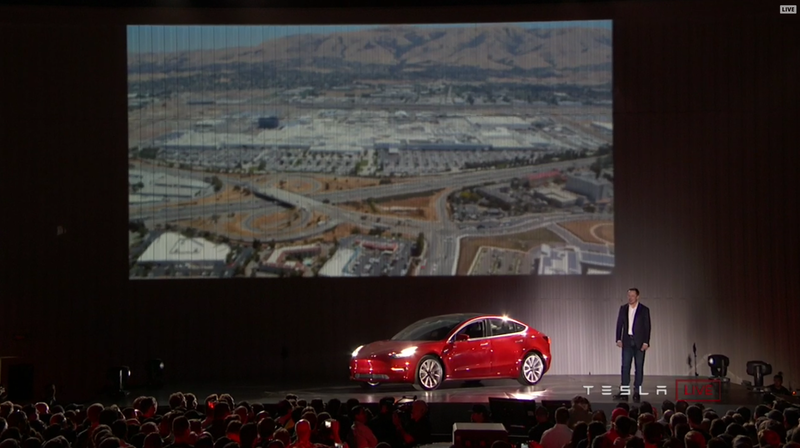 The Tesla-factory in Fremont has the 2nd largest footprint of building, the Gigafactory in Reno is the largest. 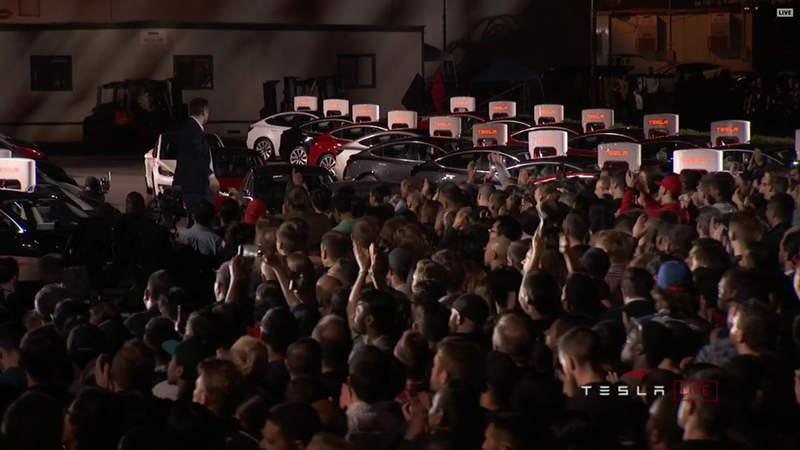 Latter one produces now more battery cells than all other battery factories combined. 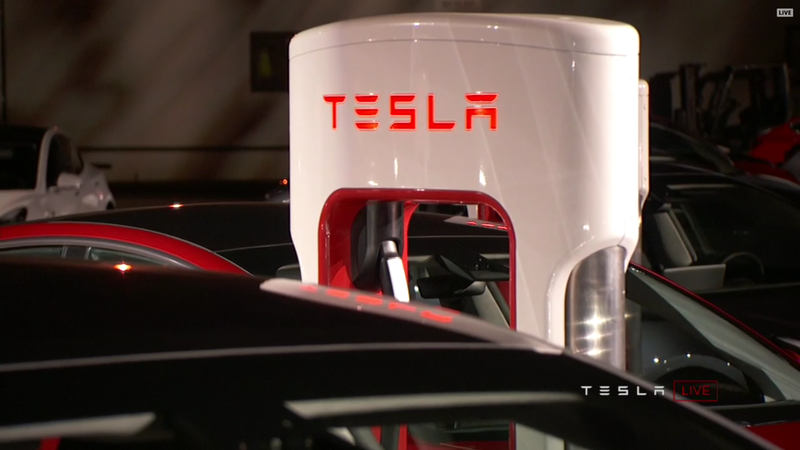 Elon Musk took the criticism of the supercharger stations to heart. 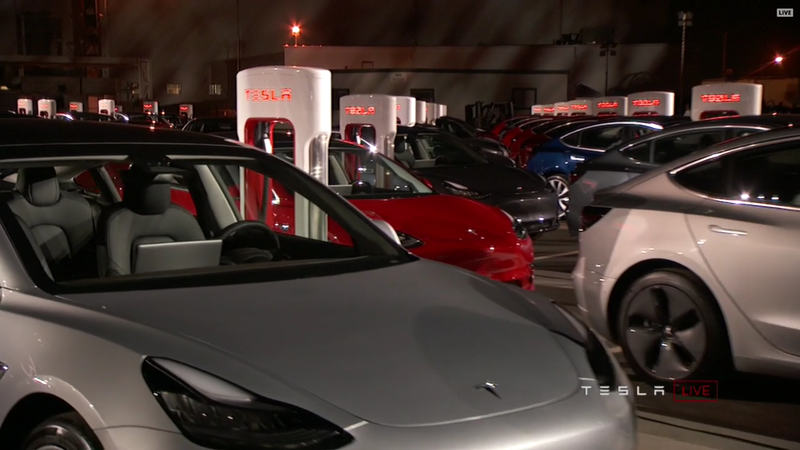 Until 2018 the supercharger network is expected to grow to more than 18,000 stations.